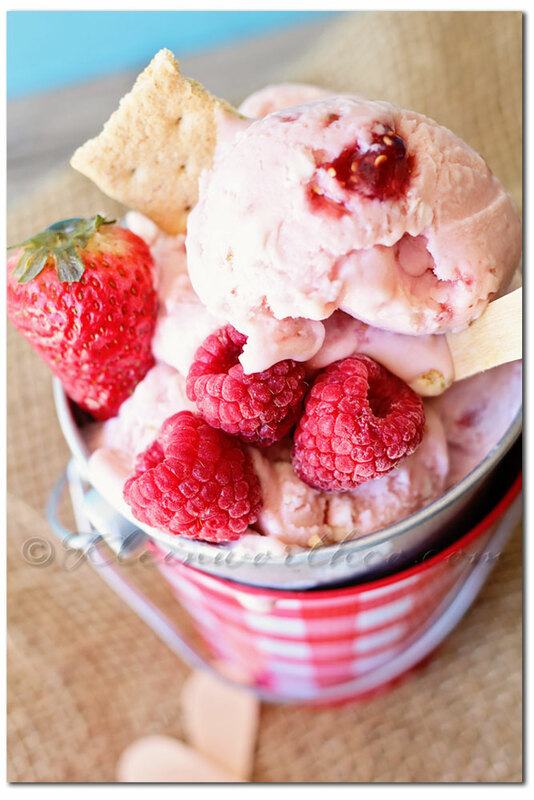 Love those great nostalgic ice cream flavors from your childhood but want to try a slightly healthier version? 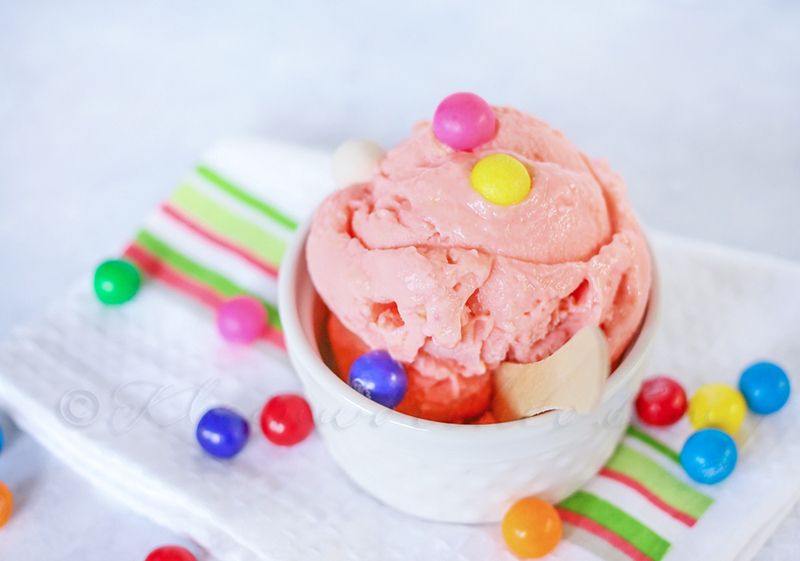 This Bubble Gum Frozen Yogurt is just the thing. 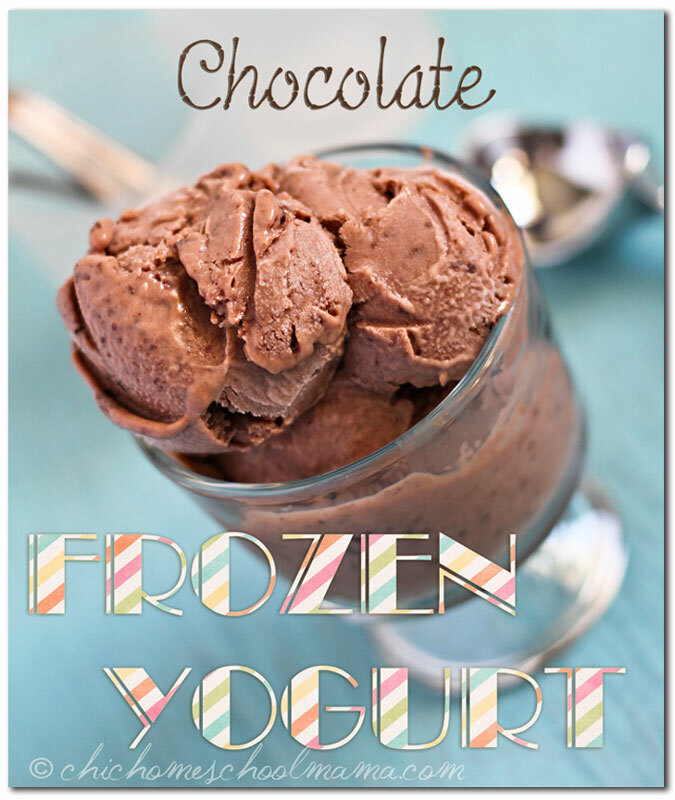 Super easy to make- just mix freeze & enjoy. All the great memories from childhood come flooding back. What was your favorite flavor ice cream growing up? 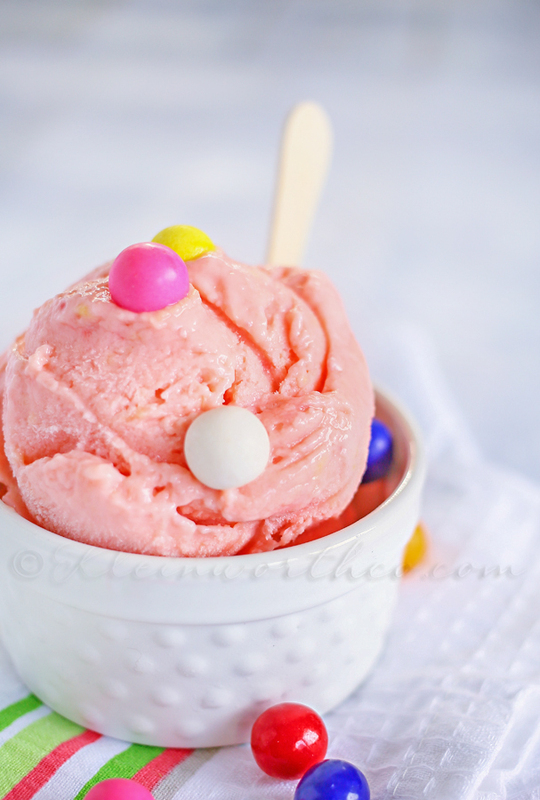 Mine was bubble gum & when I think of some of my best childhood memories it always involves bubble gum ice cream. You see – when I was really little my mom worked at Baskin’ Robbins. Long after she stopped working there we would stop in to visit every so often. When we would go in the summer- we would always get a couple scoops of bubblegum ice cream. Well-as much as I love to indulge with ice cream (probably more often than I should) – I do try to choose slightly healthier options for my treats if I can. So when it’s hot I end up making a whole lot of frozen yogurt. 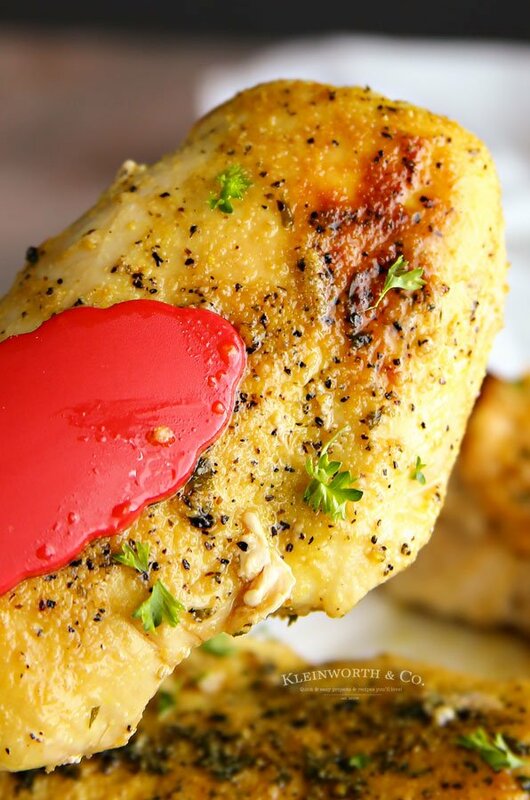 There’s a little less guilt involved & it’s so incredibly easy to make. 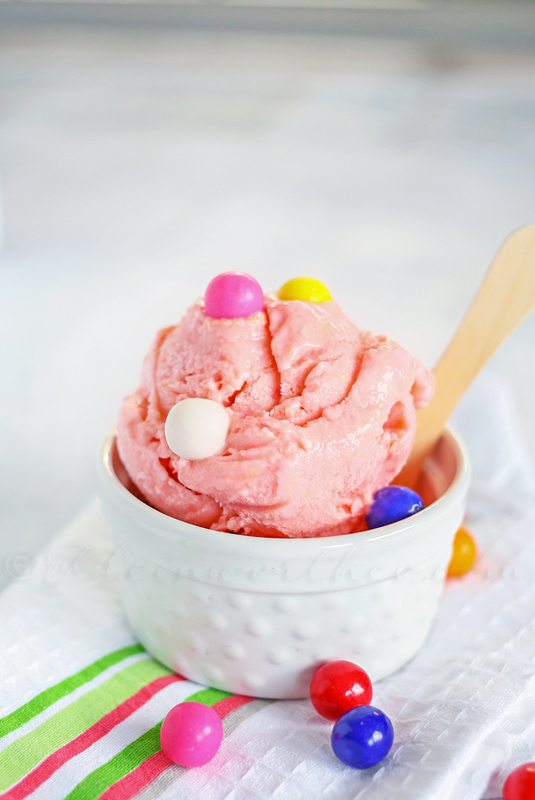 This Bubble Gum Frozen Yogurt is sooooooo good! For those few short moments I sit to enjoy some I feel like I’m 5 again. Combine all ingredients except gumballs into mixer bowl & whip for approximately 60-90 seconds, or until ingredients have combined. Transfer to airtight container & freeze several hours – or until hardened to desired consistency. 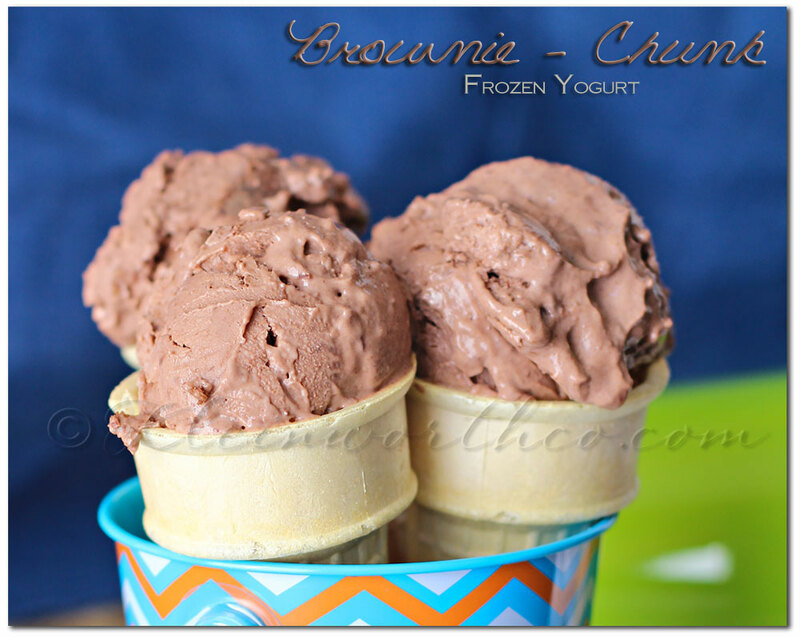 Looking for more Frozen Yogurt recipes? Hi Gina! 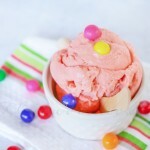 I picked your Bubblegum Frozen Yogurt as my host favorite recipe on Foodie Friends Friday. Thanks for linking up! I love how easy this is! What a fun summer treat for the kids. I would love to use this for my frozen yogurt round up post. Please let me know if that is ok 🙂 Of course, I will link back to you! Hi there – I so appreciate you wanting to share this in you roundup – that would definitely be okay. 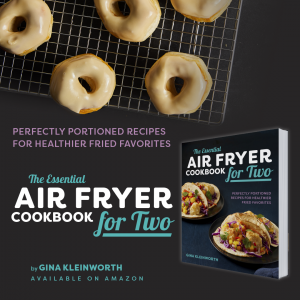 Thank you so much – please let me know when it’s live so I can check it out! Oh my gosh, that is too much fun! 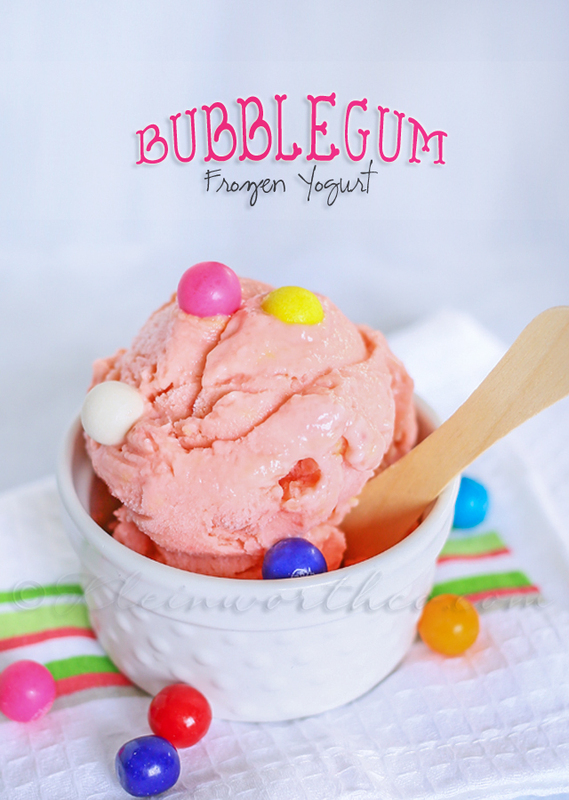 I love bubble gum flavor, I totally need to make this! Thanks for linking up to Snickerdoodle Sunday!